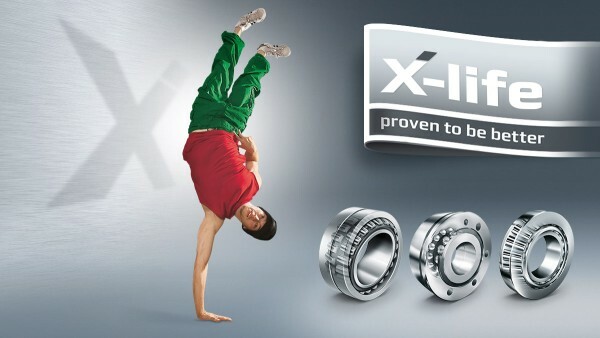 Radial insert ball bearings are single-row, ready-to-fit units comprising a solid outer ring, an inner ring extended on one or both sides, cages made from plastic or sheet steel and seals of type P, R, L or T. Bearings with an inner ring extended on both sides undergo less tilting of the inner ring and therefore run more smoothly. The outer ring has a spherical or cylindrical outside surface. 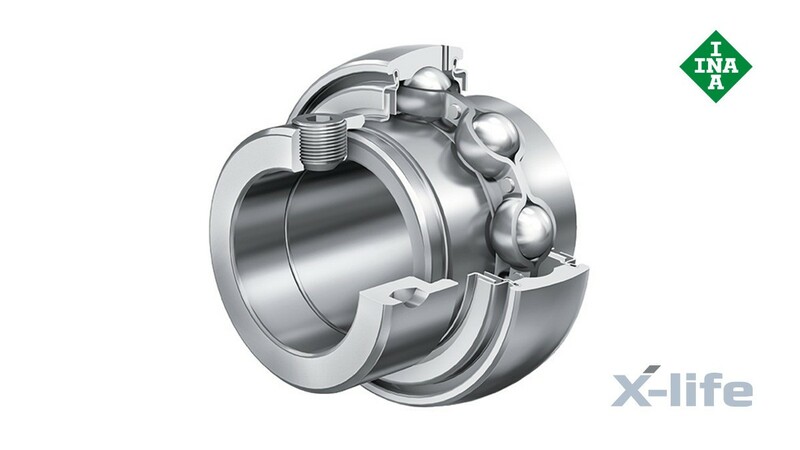 In combination with an INA housing matched to the design, bearings with a spherical outside surface can compensate for misalignment of the shaft; see Compensation of misalignments. They are located on the shaft by means of eccentric locking collars, grub screws in the inner ring, adapter sleeves, drive slots or fit. Radial insert ball bearings are particularly easy to fit, are suitable for drawn shafts of grades h6 to h9 and can be relubricated with only a few exceptions. Some series with eccentric locking collar or grub screws in the inner ring are also available with inch size bore dimensions.